This Friday, Tesla Motors closed at $269.70, signifying an ≈ 1,320% increase since the stock opened at $19 per share on June 29, 2010. Tesla Motors, a high-end electric vehicle maker, represents the first American car company to go public since Ford’s IPO in 1956. Tesla has experienced tremendous success over the past three years – in an environment where numerous “green” car start-ups have failed (Fisker, Better Place, Bright Automotive, and Carbon Motors quickly come to mind). But somehow, Tesla has endured. Does Tesla have a technological edge? Maybe. Arguably, Ford, Nissan and GM have the resources and expertise to produce a similar product. However, the bigger players are focused on their core businesses, enabling Tesla to take the lead of this niche. Tesla’s true success has been its ability to evoke an emotional response from the market. The company targets the high-end luxury market. In other words, consumers of Tesla cars are purchasing based on comparisons to other irrational, expensive products. Max Warburton, analyst at Bernstein, comments, “That’s the genius of the product – consumers are not doing any cost/benefit calculations – but rather saying ‘I want one’”. Tesla’s Model S: the best car…ever? The Tesla Model S is undeniably an impressive product. In five seconds, the vehicle can travel at 60 mph, without a drop of gasoline. The Model S sources electricity from natural gas, hydroelectric power, solar, geothermal or wind power. That’s right – zero emissions. The Model S not only obtained a 5-star safety rating, but also received 99 out of 100 points on the 2013 Consumer Reports survey, making it the highest rated car…ever. But, it’s not cheap. At over $70,000, buyers are purchasing for one of two reasonS: 1.) they deeply care about the environment, or 2.) they are extremely wealthy consumers who want the new shiny toy before everyone else. Tesla urges the market to consider the cost savings from using electricity instead of gasoline. Supercharger stations charge the battery of the Model S (about half a charge in just 20 minutes) for free. Currently, there are 111 stations in the U.S, 59 in Europe and 13 in Asia. Tesla boasts by the end of 2015, 98% of the U.S. population will live within 100 miles of a Supercharger. Superchargers hit a remarkable milestone in June, delivering more than 1 GWH of energy to Model S vehicles in a month. This is equivalent to 4.2 M pounds of CO2 emission, 7.5 trips to the moon and back, and 168,000 gallons of gas saved – in a single month. Meet Elon Musk. Age 43. Net worth $10.2 billion. As Co-Founder of PayPal, Chairman of SolarCity, Founder of Zip2, CEO/CTO of SpaceX, and CEO and Chief Product Architect of Tesla Motors, Elon Musk has had no shortage of ideas. Oh, and in his free time, he is drafting a high-speed transportation system called the “Hyperloop” – his vision being to enable passengers to travel at 700 mph in a tube-like capsule driven by a combination of linear induction motors and air compressors. Merill Lynch calls him “the next Steve Jobs”. Business Insider calls him “the closet thing we’ve got to a superhero”. And I personally would argue Elon Musk is the number one contributor to Tesla’s success. 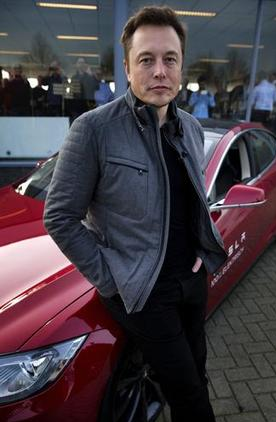 In April, Musk received the Edison Achievement Award, honoring him for his “continuous contribution to human-centered design, as well as his positive influence on creating entirely new market opportunities and inspiring future leaders and innovators worldwide.” For context, prior winners of this award have been Steve Jobs (Apple), Ted Turner (Time Warner), Alan Mulally (Ford), A.G. Lafley (Proctor and Gamble), Doug Ivester (Coca-Cola), J Willard Marriot (Marriot), Frank Perdue (Perdue Farms)…you get the picture. In an environment where electric cars have fared poorly, Tesla Motors has been able to escalate its share price by over 1,000%. In some form or fashion, the market is deeming electric cars as having a serious future in the automobile industry. And Elon Musk is the guy to lead the charge. An interesting question is whether “being good” is easier for the affluent, then for the less advantaged. Seems like most of the “being good” companies target the high end. Are there examples of companies that are rewarded for “being good” by the mass market. I am thinking if Walmart were accused of “not being good” would people still shop there as they have no other alternative due to the low prices? You saw something like that with many US apparel companies were accused of using suppliers in the garment industry which in turn used child labor in less developed countries- did the market really care? Don’t mean to be cynical, but perhaps there is a great deal of income elasticity of demand for “being good.” In other words, you can afford to be good if you have the money to so. Be interesting to see if China switches from coal to less polluting energy sources once their wealth increases. I wonder if some of the studies which find that companies which are good have better performance test the causality. Perhaps the two are correlated, and perhaps the causality is in the other direction: that companies doing well can afford to be good? Thus, one would find a correlation which does not lead to causality. And doing good, might not lead to better performance? Are the CO2 emission savings subtracting off the CO2 used to generate the electricity? Also I suppose you also have to subtract off the environmentally unfriendly batteries. This is a thorny and complicated question. If you look at the life of vehicle dollar cost of an electric car vs a gas powered car, the electric car dollar cost is now higher. 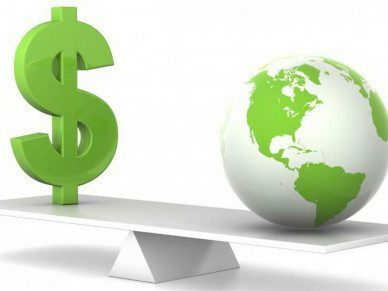 The next question to ask is what is the Carbon percentage of those costs in order to calculate the respective carbon costs and will the dollar or carbon cost of the electric car drop with volume. One must consider the capital costs of manufacturing, not just the operating costs you mention. Clearly there are carbon costs in labor, materials and the batteries needed to produce the electric car, as there are for the gas powered car. A carbon tax would internalize all these carbon costs and enable a fairer comparison. If Tesla can bring out a $35,000 car – certainly the carbon impact of production will not be much greater than a gas powered car with a similar selling price. This should be the tipping point for Tesla. Watch out Motor City Detroit!! !